Editor's note: The ICAA is pleased to showcase projects, artworks, and inspiration submitted by our members. The following was written by Jared Goss, an ICAA Board Member, independent art historian, and former Associate Curator in the Department of Modern and Contemporary Art at The Metropolitan Museum of Art. For twenty years, I worked as a curator at The Metropolitan Museum of Art, charged with caring for the museum’s collection of modern design and architecture (loosely defined as works made internationally between 1900 and the present day) and involved with the organization of numerous temporary exhibitions and other special projects like the installation of a period room (see below). These experiences made me acutely aware of the important role museums can play in helping people understand the links between past and present, and in particular the inspirational lessons history can provide in solving contemporary design issues and developing future innovations. Today I serve as a National Board Member for the ICAA. 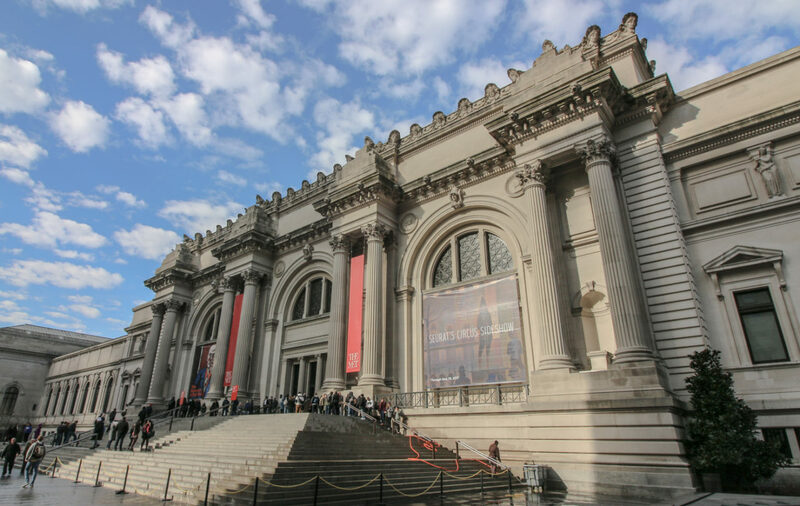 Here is my list of top museums for the ICAA community across America; some stand out for their collections, others for their buildings or settings. Each has something special to offer. Between 1907 and 1934, Henry Davis Sleeper (1878-1934) assembled an atmospheric assortment of mainly American architectural fragments, furniture, and decorative arts at Beauport, his house in Gloucester, Massachusetts. Sleeper came from an old Boston family and it was probably the area’s many old houses – as well as the more general burgeoning Colonial Revival movement – that prompted his interest in antique Americana; he would serve as an early director of the Society for the Preservation of New England Antiquities (now known as Historic New England). But he also became an erudite if self-taught scholar and embarked on a career as an interior designer, with a roster of clients that included his good friend Isabella Stewart Gardner. Perhaps the most interesting thing he achieved at Beauport was the artistry with which he arranged his considerable collection. 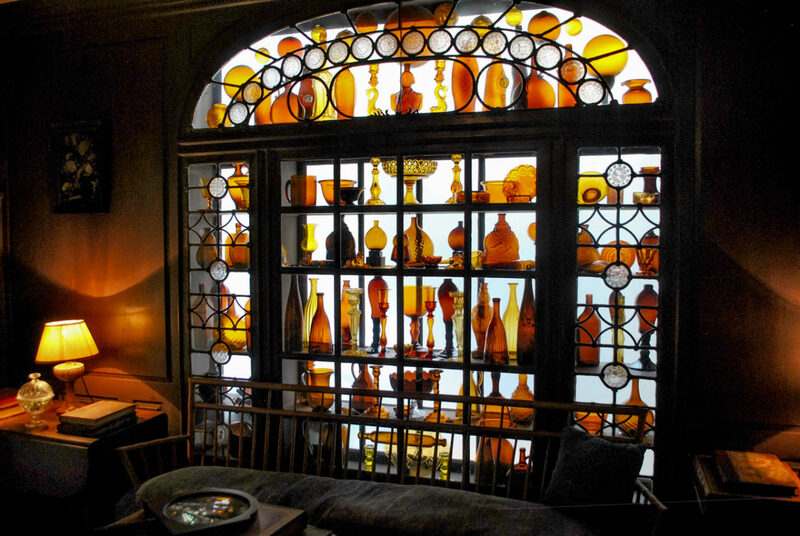 He took pains in assembling picturesque groupings carefully organized with attention to shape and color; in the case of glassware, purposefully installed in front of a window to maximize the effect of light. Sleeper’s creativity was innovative and pioneering, and even today continues to influence tastemakers. 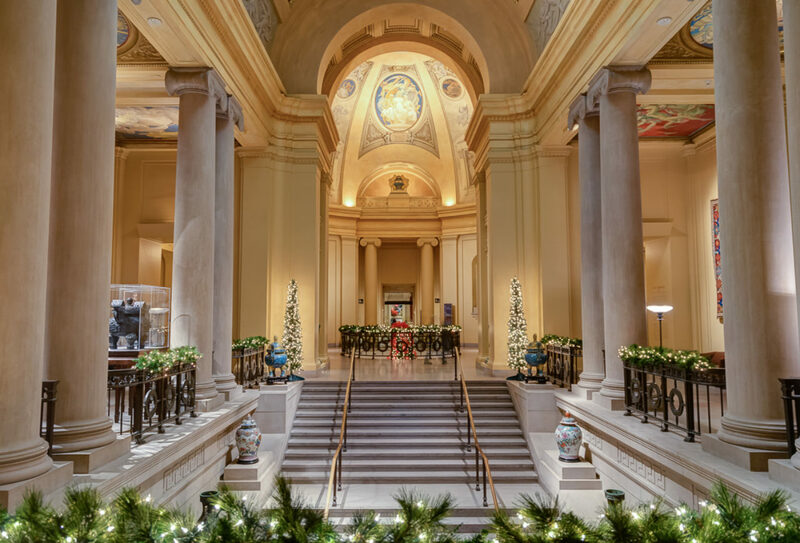 The fact that this is one of America’s finest encyclopedic museums is reason enough to recommend the Museum of Fine Arts, but it is the extraordinary work of John Singer Sargent (1856-1925) that make it especially pertinent here. Known for most of his career as an easel painter, during the last decade of his life Sargent took on a series of large-scale decorative commissions in Boston; at the Museum of Fine Arts, his masterful murals and bas-relief sculptures executed on the themes of the arts and classical mythology adorn the ceilings of the main staircase and rotunda, in a building completed in 1909 by the Beaux-Arts trained Boston architect and landscape designer Guy Lowell (1870-1928). Dominated befittingly by a depiction of Architecture, Painting and Sculpture Protected by Athena from the Ravages of Time, Sargent’s ensemble – which he created between 1916 and 1925 – presents one of the best opportunities in America to experience such a fusion of the arts: more than just the sum of its component parts, his decorative scheme transforms the museum building itself into one of the jewels of the institution’s collection. Today the museum houses the most extensive assemblage of Sargent’s work, including numerous preparatory sketches for these decorations. 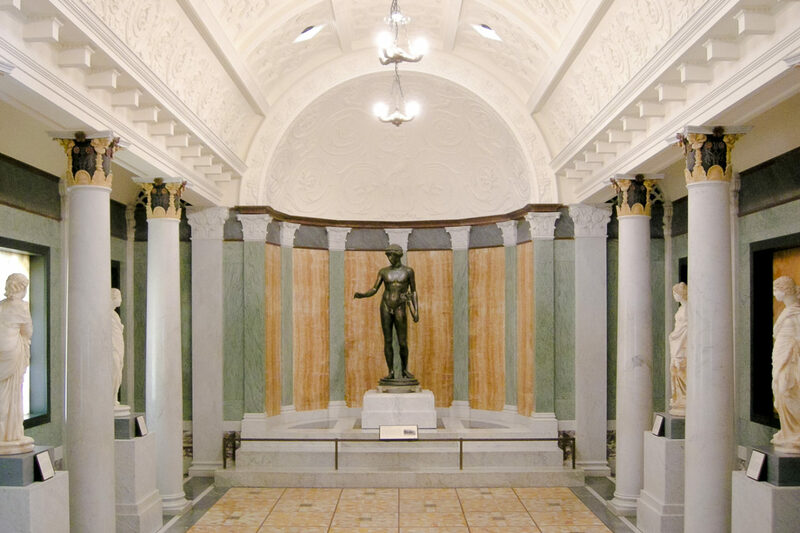 Opened in 1844, the Wadsworth Athenaeum is America’s earliest art museum. Among its first-rate holdings are the Wallace Nutting collection and the Austin House. The 1876 Centennial International Exhibition first piqued public interest in America’s colonial past; the late-nineteenth-century American middle class responded well to the modest tastes of those former times, which were well-suited to its means. Wallace Nutting (1861-1941), a photographer who also restored old houses and studiously collected American antique furniture, was keenly attuned such interest and was equally aware of the emotional associations that grew around it: namely, that the honest values of the past were fast disappearing in the modern world. His nostalgic and sentimental photographs – which often were taken inside his houses with his furniture – were widely reproduced as postcards and prints that helped shaped a generation’s taste. Nutting introduced one of the first lines of mass-produced reproduction furniture (modeled on period examples from his personal collection), aimed at the same middle-class market that bought his photographs. The invention of what we consider the Colonial Revival can to a great extent be laid at Nutting’s feet; since 1924, his collection of Americana has been housed at the Wadsworth Athenaeum. From 1927 until 1944, A. Everett Austin, Jr. (1900-1957, known as “Chick”) served as the Wadsworth’s director. In 1930, he built for his family a house based on the Palladian villas he had seen in Italy on his honeymoon the year before. Effectively a spectacular stage set, the antiques-filled building is only one room deep and has inexpensive exterior wood siding painted to suggest a more permanent structure. At once a tongue-in-cheek pastiche and completely original, Austin’s remarkable house – now the largest artwork in the Wadsworth’s collection – reflects its creator’s intellectual dynamism and offers an object lesson in the creative adaptation of historical precedent. Industrialist Henry Clay Frick’s (1849-1919) magnificent New York house (completed 1914) was designed by architect Thomas Hastings (1860-1929) and furnished with the input of the influential art and antiques dealers Joseph Duveen (1869-1939) and Charles Allom (1865-1947) as well as the famous interior designer Elsie de Wolfe (1858-1950). Robber baron collections like Frick’s were filled with tour-de-force masterpieces in the manner of European monarchs; yet while Frick’s house may evoke the grandeur of Versailles, we certainly do not mistake it for a royal palace: from the beginning, Frick intended for the house eventually to be opened as a public museum, something that happened in 1935 after the death of his widow. In spite of 1930s alterations carried out by architect John Russell Pope (1874-1937) and the addition in 1977 of a delightfully tranquil formal garden by landscape designer Russell Page (1906-1985) – its splendid interiors effectively remain intact as period rooms memorializing the contributions of those who shaped them. America’s largest and most encyclopedic art museum presents the entire history of human civilization under one roof (its satellites notwithstanding). One can ramble with ease from one great moment to any another, one time period to any other, on geographical location to any other. An especially effective way to experience intellectual links crossing cultures and centuries comes in visiting its period rooms. At the beginning of the twentieth century, nearly every major American museum began assembling period rooms and today the Metropolitan Museum has one of the world’s most comprehensive collections, ranging from Roman antiquity to the twentieth century, from Europe and America to the near and far East. Period rooms have always been popular with visitors, but these art historical object lessons often reveal as much about the taste of the time in which they were installed as they do about the time they represent since very few historic interiors survive with all their original furnishings intact. Indeed, some such rooms overlook authenticity in their attempts to recreate period atmosphere. The Metropolitan is particularly fortunate, however, in having Lucien Lévy-Dhurmer’s (1865-1953) Wisteria Dining Room, a magnificent French Art Nouveau interior preserved and presented exactly as it stood when completed in 1914 (its installation was overseen by yours truly in 2007). The room makes stylistic reference to eighteenth-century French precedent, first-rate examples of which can be seen nearby demonstrating clearly the astounding breadth of the museum’s holdings. Founded in 1877, the Philadelphia Museum’s main building – which dates to 1928 and was designed by Howell Lewis Shay (1884-1975) and Julian Abele (1881-1950) of Horace Trumbauer’s (1868-1938) firm – is a masterpiece of neo-classicism. It sits on the Benjamin Franklin Parkway, a monumental boulevard laid out in 1917 by landscape architect Jacques Gréber (1882-1962), a major proponent of the City Beautiful movement. From 1925 until his death, Fiske Kimball (1888-1955) served as the museum’s director. An academic who made a significant and early impact on twentieth-century American museology, the multi-faceted Kimball had earlier worked as a professor, architect, and museum curator. He taught art and architecture first at the University of Virginia in the 1910s, and later at New York University’s Institute of Fine Arts. His prolific writings on the history of architecture and design contributed to his international reputation as a serious scholar, and during the 1920s he supervised the restoration of several important colonial era American houses including Monticello and Stratford Hall in Virginia. Nearby on the Benjamin Franklin Parkway is the charming Rodin Museum, which opened in 1929. The museum houses the largest collection of works by the famous French sculptor in a jewel-like building designed by Paul Cret (1876-1945) set within a walled garden designed by Gréber. It is administered by the Philadelphia Museum of Art. Sleeper’s approach was embraced by his friend Henry Francis du Pont (1880-1969) at Winterthur, his house outside Wilmington, Delaware. Like many of his ilk in the early twentieth century, du Pont started collecting European furniture and decorative arts, but, with Sleeper’s encouragement, by the 1920s he changed his focus to Americana instead. His acquisitiveness was obsessive, and by the 1950s his house had grown so huge – including 175 fully-furnished rooms – that he opened it as a museum, moving into a smaller house nearby. The rooms du Point created for himself before 1950 demonstrate how completely he had absorbed Sleeper’s approach to collection-building and decorative display, and happily much of that remains intact at the museum today. But with time, and especially after he moved out of the main house, he took an increasingly academic and museological approach with the display of his collection. Today it forms perhaps the most complete presentation of historic American arts and architecture in existence. In the early 1960s, du Pont served as an important advisor to First Lady Jacqueline Kennedy when she oversaw the redecoration of the White House – like Winterthur, an odd mix of public and private, part museum and part residence. At the National Gallery of Art, the building is every bit as grand as the important collection of artworks inside – which includes old master paintings from the Russian Imperial collection acquired by museum founder Andrew W. Mellon (1855-1937) in sales organized by the Soviet state in 1930 and 1931. The vast neo-classical West Building, designed by John Russell Pope, opened in 1941. At its core is a monumental rotunda (based on the Pantheon in Rome) with a dome supported by sixteen towering dark-green marble columns. 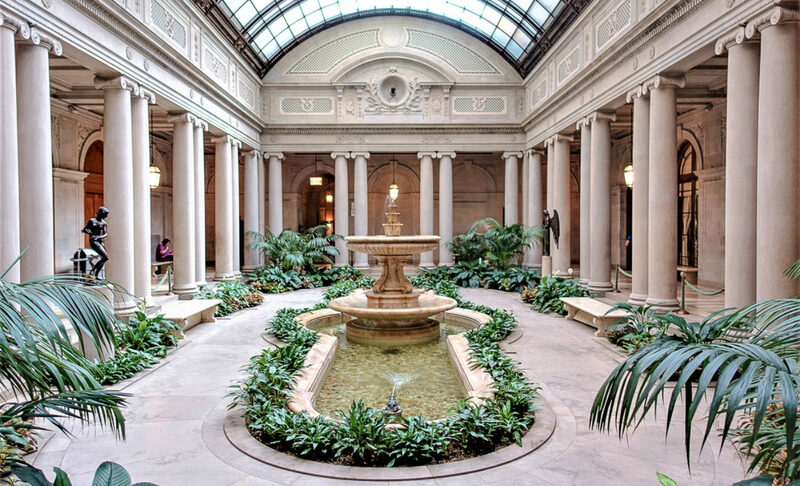 This dramatic central space is flanked by a series of skylit galleries and garden courts, forming one of the most dignified and elegant settings for art imaginable and fostering in turn a visceral a sense of patriotic pride in all Americans who visit. It is a temple of art in the most literal sense. The collection of the Virginia Museum of Fine Arts, which opened in 1936, provides many first-rate object lessons in learning from the past. Specifically, the Lillian Thomas Pratt collection of jeweled works from the workshop of Peter Carl Fabergé (with its five Imperial Easter eggs) and the Sydney and Frances Lewis collection of French Art Deco – which includes pieces by Maurice Marinot, Jean E. Puiforcat, É.-J. Ruhlmann, Süe et Mare, and others – successfully demonstrates how inventive modern design can be inspired by historical precedent. 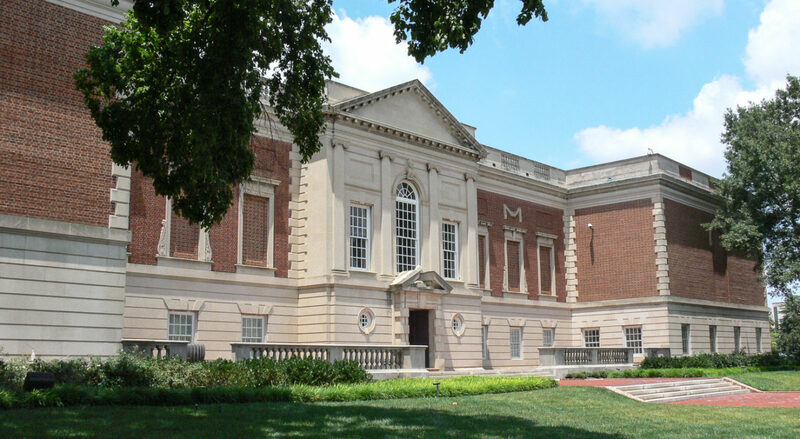 Furthermore, the museum is located just off of Richmond’s Monument Avenue, a tree-lined thoroughfare of the City Beautiful era, punctuated with public sculptures and the site of houses of architectural interest designed by architects such as William Lawrence Bottomley (1883-1951) and John Russell Pope. 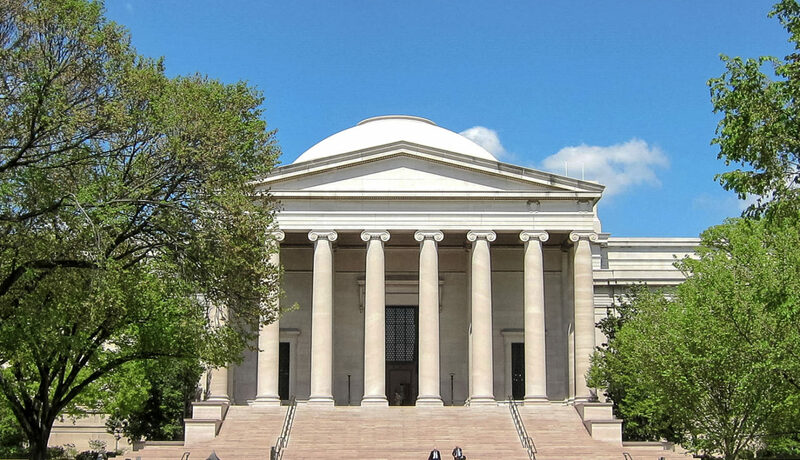 The second-largest American art museum was founded in 1879. While famous for its holdings of paintings like Georges Seurat’s A Sunday Afternoon on the Island of La Grande Jatte (1886), Grant Wood’s American Gothic (1930), and Edward Hopper’s Nighthawks (1942), it is another less-known collection that is more pertinent here: the Thorne Miniature Rooms. These sixty-eight dioramas come from a group of more than one hundred created during the 1930s for Narcissa Niblack Thorne (1882-1966). Following her 1901 marriage to James Ward Thorne (heir to the Montgomery Ward department store business), her childhood hobby of collecting dollhouse miniatures developed into something more professional; during the Great Depression she hired skilled craftsmen to create historically accurate model rooms documenting changing fashions in interior design in Europe, America, and Asia from 1300 until the 1930s. Several of these would be displayed at the Century of Progress International Exposition in Chicago (1933-34) and at the New York World’s Fair (1939-40). 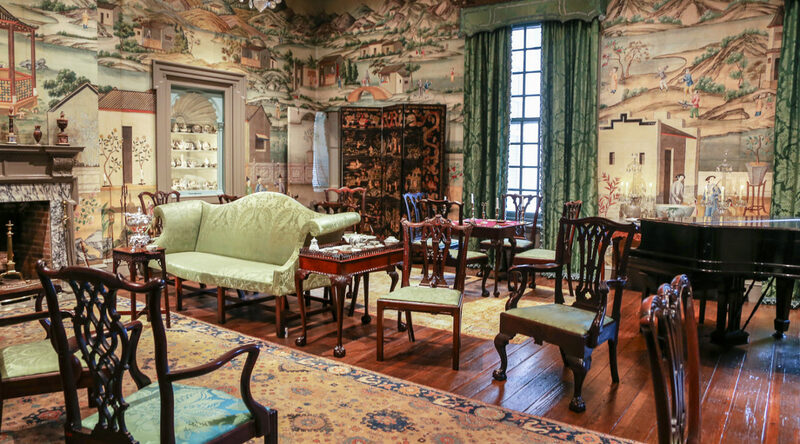 In 1941, Thorne donated the majority of her miniature rooms to the Art Institute, where they remain on view today (others are displayed at museums in Phoenix, Knoxville, Indianapolis, and Los Angeles), providing an excellent broad survey of interior decoration. Also of note: Chicago architect David Adler (1882-1949) was a trustee of the Art Institute; today his archives are housed at the museum. Impressed by the temporary French Pavilion at the 1915 Panama-Pacific International Exposition (which had been modeled directly on the eighteenth-century Hôtel de Salm in Paris – since 1804 the Palais de la Légion d’Honneur), San Francisco sugar magnate Adolf B. Spreckles (1857-1924) and his wife Alma de Bretteville Spreckles (1881-1968) hoped to create a permanent version of it to serve as a museum of French art in their hometown. Their efforts were delayed by the war, but on Armistice Day, 1924, their new museum building – designed by George Applegarth (1876-1972) – opened with an exhibition of more than 700 works of art sent from France, including loans from the Louvre and Luxembourg museums. The museum’s spectacular setting within Lincoln Park, which overlooks the Golden Gate Bridge, makes it a suitably moving monument “honoring the dead while serving the living.” Over time, its collection has grown to include European fine and decorative arts of all periods. Among its most notable holdings is the Salon Doré from the Hôtel de la Trémoille in Paris (1781), a magnificent French neoclassical room which exemplifies the close relationship between architecture and furnishings in the eighteenth century. The Legion of Honor presents a remarkable counterpoint to the M. H. de Young Memorial Museum (in Golden Gate Park); the two jointly form the Fine Arts Museums of San Francisco. 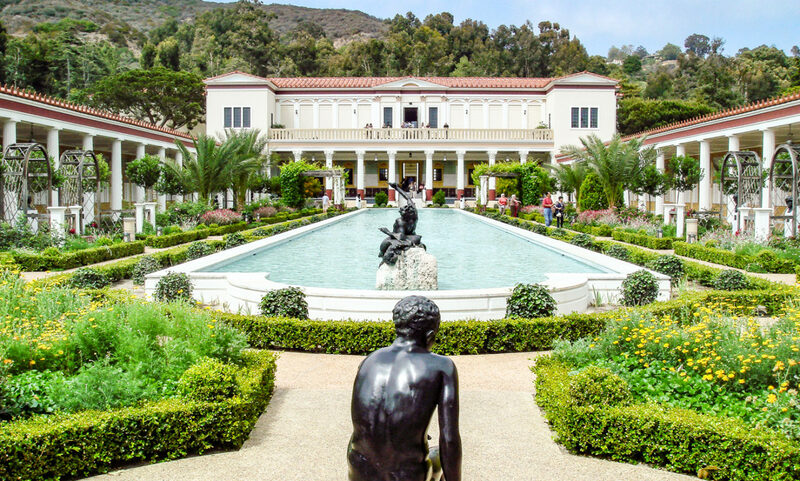 In America, it doesn’t get any more classical than the Getty Villa which was built in 1954 by oil baron J. Paul Getty (1892-1976) to house a growing art collection; the villa first opened to the public in 1974 and recently reopened in the spring of 2018 after an extensive renovation. Its design is based closely on the luxurious Villa dei Papiri in Herculaneum which was buried during the eruption of Mount Vesuvius in 79 A.D. and excavated in the 1750s (thereby providing present-day visitors with source material for a crash-course in both ancient classicism and eighteenth-century neo-classicism), although it takes archaeological cues from other sources as well. The villa is surrounded by Roman-style gardens, and houses an exceptional collection of ancient artworks from the Mediterranean region and the Middle East. Short of time travel, it presents the most authentic opportunity possible for experiencing the ancient world in modern America.